Washington, DC– For 200 years, one Washington DC hotel has remained an anchor in a town that has undergone countless transformations and been called home by US Presidents. In 2018, the Willard InterContinental celebrates its bicentennial, bringing two centuries of colorful anecdotes, architectural evolution and historical preeminence. The long-standing venue is currently receiving a substantial room refurbishment, refreshing guest rooms while maintaining the essence and charm of a bygone era. With its inception as a row house on the corner of 14th Street and Pennsylvania Avenue in 1818, The Willard spent the first 30 years under a series of different names, managed by a slew of different operators. It wasn’t until 1847 that Henry Willard was named manager, spearheading a complete makeover, tearing down the original façade and replacing it with a new brick exterior and larger interior. It was around this time that the property was named the Willard’s City Hotel and would remain this way until 1901 when it was torn down to make way for the magnificent, Beaux-Arts style structure that exists today, hosting a number of monumental events that have made the history books. It was also in the mid 1800s when Kentucky Statesman Henry Clay first introduced Mint Julep to Washington in The Willard’s Round Robin Bar. The southern favorite beverage would later become the hotel’s signature drink, serving 20,000 of them each year. The walls of The Willard have witnessed some of the nation’s most notable happenings, from the inauguration of Abraham Lincoln in 1861, where the President-elect took up residence in the days leading up to his Presidency, to welcoming Dr. Martin Luther King in the hotel’s lobby in 1963, as he sat with his closest advisers making final edits to his famous “I Have a Dream” speech. After closing its doors in 1968 for 18 years, The Willard was saved from demolition and reopened in 1986 with a complete renovation, paving the way for more historical moments, including a visit from the Dalai Lama in 2016. After such an illustrious track record, The Willard is taking some time in 2018, as it commemorates its 200th anniversary, to give all 335 rooms and suites a well-deserved makeover. To be completed by April, the final design is still being kept under wraps but the property has disclosed that it involves 355 new Nespresso machines, 355 new Cubie alarm clocks, 5,000 slippers, 25,101 yards of carpet, 49,900 yards of wall covering, 300 pieces of reupholstered furniture and 1,350 pieces of refinished wood furniture. With the room revamp, also comes a reimagining of The Willard’s highly-praised authentic French brasserie, Café du Parc where hotel patrons and locals alike will be able to enjoy the addition of a new private dining room and reinvented menu. Of course, The Willard’s old standby’s and foodie favorites will still be available for guests to enjoy whether it be a traditional spot of afternoon tea in the hotel’s famous Peacock Alley, which serves the likes of 30,000 scones a year, or a perfectly brewed cup of coffee at Le Bar, one of 23,725 served yearly. Throughout the years, The Willard has developed a number of unique programs including the Kids Concierge, which offers a selection of amenities and activities, including a children’s library and a treasure chest of board games and toys to ensure that even the youngest of guests have a luxury experience to remember. This popular offering gives out 1,500 “Millie” bucks per year, a coveted reward which earns little ones a sweet treat from Le Bar. In 2018, both newcomers and longtime patrons can enjoy the hotel’s newest program, History Happy Hour. Held monthly, the two-hour event distills American history through cocktails, while providing attendees a hands-on mixology class, perfect for both cocktail aficionados and history buffs. This educational yet entertaining event is led by the legendary bartender, Jim Hewes, who has been serving up cocktails for over 30 years at the iconic Round Robin Bar. The Willard, which is a member of Historic Hotels of America (historichotels.org), has stood the test of time and the 200th year anniversary will reflect on its expansive and vivid history. A pioneer in hospitality, The Willard has created and maintained traditions that will be remembered for years to come, whether it be the labor of love involved in the 255 ornaments hung on the beloved Christmas tree that graces the lobby each year or the 600 hours spent each year building the acclaimed gingerbread display. Many have walked through The Willard’s halls, from renowned politicians and celebrities, to tourists visiting the Nation’s Capital for the first time, or blushing brides celebrating their special day inside the hotel’s exquisite Crystal Ballroom, aptly named for the crystals on display and welcoming an astounding 7,000 wedding guests each year. 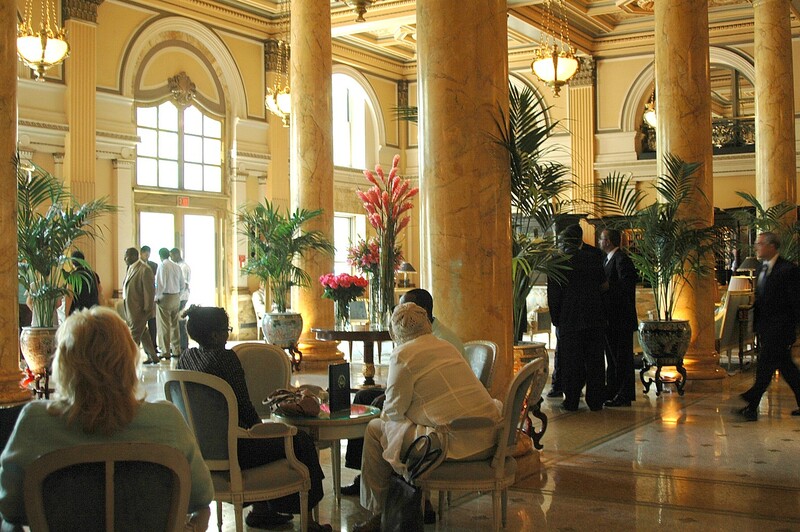 Want to experience the historic luxurious Willard InterContinental? Celebrate its 200th birthday by bringing the family on the next trip to Washington, D.C. with the Family Package. This offer includes priority access to The Willard’s Kids Concierge, a $75 food and beverage credit, a sweet or savory amenity upon arrival, complimentary internet and complimentary parking daily for one vehicle. Starting at $349 a night. For The Willard Intercontinental, 2018 is both a year to reminisce and reinvent. For more information, visit www.washington.intercontinental.com for details or call (202) 628-9100. WOODCLIFF LAKE, NJ – Families seeking culturally rich, stress-free travel options this summer can leave the planning to Smithsonian Family Journeys by Perillo’s Learning Journeys. And these multi-generational trips are very inclusive for easy planning: hotels with local character, most meals, airport transfers and on-tour transportation, exciting excursions, entertaining activities, talks by local experts, a top travel director throughout, gratuities, and emergency medical insurance are all included in the price. Discover Japan: Available July 7-17, 2018, this 11-day family journey explores modern Tokyo and traditional Kyoto. Learning and immersive highlights include: sushi and noodle making classes; hikes through the forests of Mt. Fuji; a stay in a traditional ryokan (inn); meeting students training to be anime voice actors; a visit a Japanese family in their home; learning the art of origami, kimono dressing and Taiko drumming; and much more. Prices start at $4,700 per adult and $4,175 per child. Iceland Explorer: On this seven-day adventure, multigenerational families will discover the wonder and science behind major geological sites, cruise in search of whales and puffins, and learn the history of the Viking expansion across the North Atlantic. 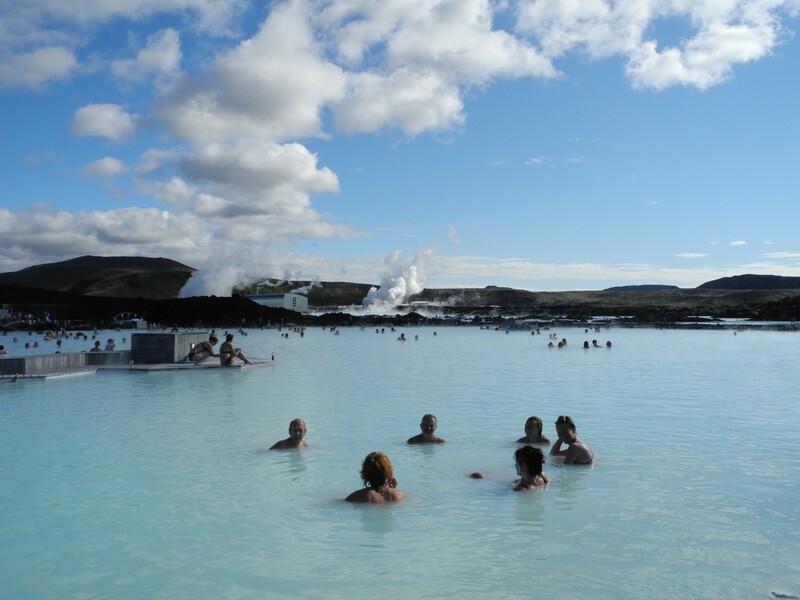 Key attractions include: the black-sand beach of Reynihverfi; a swim in the Blue Lagoon hot springs; powerful waterfalls such as Gulfoss, Seljalandsfoss, and Skogarfoss; a visit to an exact replica of an old Viking ship dating back to A.D. 870; and much more. Available departures: June 30 – July 6 and July 28 – August 3, 2018. Prices start at $4,755 per adult and $4,100 per child. Exploring London and Paris: a fitting introduction to Europe for children, this 10-day tour through London and Paris explores the most popular museums and historic sites. Highlights include: a Beefeater-led tour of the Tower of London, introduction to Shakespeare at the Globe Theatre, option to visit a number of sites featured in the famous Harry Potter films, an interactive scavenger hunt through the Louvre Museum, and more. Prices start at $5,725 per adult and $4,700 per child. Available departures: June 23 – July 2 and June 30 – July 9, 2018. Discover Ireland: available June 29 – July 7, 2018, the nine-day Discover Ireland trip introduces families to the Emerald Isle. The itinerary includes Gaelic language lessons; a two-night stay in an Irish Castle; a lesson in Gaelic football, the most popular sport in Ireland and Hurling, the world’s fastest field sport; a visit to a local sheep farm; a cruise along the Cliffs of Moher; and much more. Prices start at $4,800 per adult and $2,850 per child. For more information on Smithsonian Family Journeys by Perillo’s Learning Journeys, visit https://www.learningjourneys.com/family-journeys/smithsonian. To book, call (855) 215-8691. Learning Journeys offers cutting-edge travel experiences powered by Perillo Tours’ 73 years of travel planning expertise. More than a traditional vacation, Learning Journeys’ itineraries focus on enhanced immersion in a specific interest or passion, such as yoga and wellness, cooking, photography, watercolor painting, bird watching, dance, language study, conservation, and much more. All journeys incorporate elements of culture, nature, culinary traditions, community service, and meeting with locals. Programs to worldwide destinations include Italy, Bali, India, Malta, Peru and more. For more information on Perillo’s Learning Journeys, visit www.learningjourneys.com, contact a local travel professional, or call 888-884-8259. Smithsonian Journeys is an established leader in expert-led land and cruise travel, offering more than 350 annual journeys on all seven continents. Smithsonian Journeys delivers dynamic travel experiences that uncover the authentic culture of each destination, providing access unavailable to most travelers. A broad array of travel opportunities are available, including small-group land tours (many with air included), cultural stay programs, small-ship ocean cruises, comfortable river cruises, active journeys, family journeys, around the world by private jet journeys, and tailor-made journeys for the independent traveler. For more information visit www.SmithsonianJourneys.org. VALENCIA, Calif. — In partnership with The Greatest GENERATIONS Foundation, Cunard will again pay tribute to the World War II heroes, honoring our nation’s veterans with a unique enrichment program on board a Queen Mary 2 Transatlantic Crossing that will travel from New York to London on July 20-27, 2018. On this 7-night voyage, cruisers will have the opportunity to attend lectures and interact with several WWII veterans, hearing first-hand about their experiences during America’s involvement in the war. From the “Battle of the Atlantic,” to the conflicts in Normandy and Pearl Harbor, these distinguished war heroes will engage in discussions and Q&A’s, giving guests a very personal glimpse into the human elements of wartime service. Steve Melnikoff, who experienced the full horrors of Normandy when he served in 1stBattalion, 175th Regiment of the 29th Infantry Division and who earned three Bronze Stars and two Purple Hearts for his service. Stuart Hedley, who served in the United States Navy and recalls leaping from his ship and into the water during Pearl Harbor and coming up amid debris and burning oil and swimming for his life towards the shoreline. Harold Angle, who served as First Sergeant E-5 in the 112th Infantry Regiment, 28th Infantry Division, and who marched down the Champs-Elysées on August 29, 1944 in the Liberation of Paris. Michael Ganitch, who served as a Senior Chief Quartermaster in the United States Navy and witnessed Pearl Harbor. James Blane, Corporal of the 4thMarine Division of the United States Marine Corps and served in the battles of Kwajalein (Roi-Namur), Saipan, Tinian, and Iwo Jima. Peter DuPre, who served as a medic in the 114th General Hospital Unit in Kidderminster, England during WWII, where he treated wounded servicemen from all areas of Europe, including those who had been wounded during the Battle of the Bulge. Kenneth Barclay, who served as Lieutenant Colonel O-5 in the “Fighting 69th” Regiment, where he served in Hawaii, Saipan and Okinawa during the war. Jeremy Hubbard, current co-anchor of FOX31 Denver News will join the voyage and act as a moderator of the panels and lectures. Prior to joining the FOX31 Denver News team, Hubbard, a native of western Colorado, worked as a New York-based correspondent for ABC News where he contributed and reported for all ABC News broadcasts including: Good Morning America, World News with Dianne Sawyer and Nightline. For more information about Cunard, or to book a voyage, contact your Travel Consultant, call Cunard Line at 1-800-728-6273 or visit www.cunard.com. Cunard is the operator of luxury cruise ships Queen Mary 2®, Queen Victoria® and Queen Elizabeth®. Renowned for impeccable White Star Service, gourmet dining and world-class entertainment, all three Queens offer luxury accommodations in Britannia, Britannia Club, Princess Grill Suite and Queens Grill Suite staterooms. Cunard is the only line to offer regularly scheduled Transatlantic service between New York and London, and it continues to celebrate the freedom of travel on exciting World Voyage and Grand Voyage itineraries that visit Europe, North America, South America, Africa, Asia and Australia. Awarded ‘#1 Mega-Ship Ocean Cruise Line’ by Travel + Leisure’s 2017 and 2016 World’s Best Awards and ‘Best World Cruise Itineraries’ and ‘Best Trans-Atlantic Itineraries’ by Porthole Cruise Magazine’s 2016 Readers Choice Awards, Cunard is a member of World’s Leading Cruise Lines, a part of Carnival Corporation, the largest cruise vacation company in the world. Together Cunard, Carnival Cruise Line, Holland America Line, Princess Cruises, Seabourn, AIDA Cruises, Costa Cruises, P&O Cruises (Australia) and P&O Cruises (UK) operate 102 ships visiting over 700 ports around the world and totaling 226,000 lower berths. Backyard Travel’s new tour is an odyssey of highlights across the Malaysian Peninsula. Bangkok, Thailand– Backyard Travel, an online boutique tour operator specializing in insider tours throughout Asia, has introduced a new tour for 2018, The Best of Malaysia in 9 Days, an odyssey of highlights across the Malaysian peninsula: urban safaris, cave expeditions, foodie discoveries, cultural encounters and plenty of time to relax and soak up the sights. The tour sets off from Singapore, where travelers get a chance to learn some local history and delve into the sophisticated city-state’s colonial past. 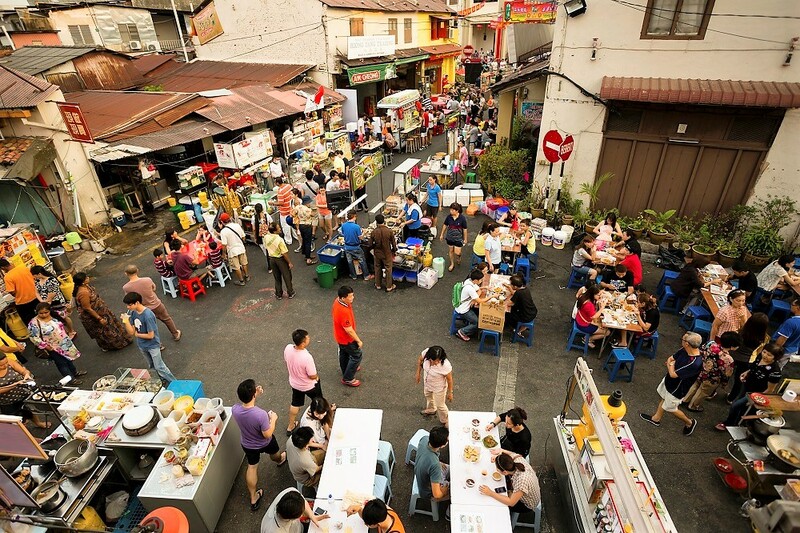 Next, it’s off to the former trading port of Malacca, to explore its colorful streets and markets, before heading to the capital of Kuala Lumpur for a look at its architecture and hawker food scene. The tour also includes a jaunt to the Cameron Highlands for some locally grown tea, a visit to the famous Batu Caves, and time in Penang, where travelers embarking on a cycling tour through the countryside for a glimpse of local life. Holiday River Expeditions is introducing new star-gazing adventures by raft and mountain bike, monthly from May through October. SALT LAKE CITY, UT – Once a month from May through October, Holiday River Expeditions shares the mystery and romance of the Dark Sky with star-struck guests who are participating in one of this veteran travel company’s 2018 Stargazing adventures. “It’s easy to get excited about this special trip series. Seeing how it has deepened our guests’ understanding and our guides’ awareness of the night sky is reason enough to offer these trips. The inexplicable boundlessness you feel staring up at the stars is just a bonus,” said Lauren Wood, Holiday Trip Director. “Salt Lake City’s Clark Planetarium has been our partner in this popular program for three years. Their expert staff will join us for each stargazing trip to help bring the sky to ‘ground level’ and explore some of humanity’s most timeless questions. And to further our commitment to the natural world, Holiday is now a partner in the International Dark Sky Association, the premier organization fighting for dark skies around the globe,” Wood explained. May 12-15, 2018 4-day White Rim Trail and Oct 3-5, 2018 3-day White Rim Trail — Guests on these adventures will have access to binoculars and a telescope at night to view the heavens. This legendary mountain biking trip leads through Canyonlands National Park in Moab, UT, recently certified as a “Dark Sky Park” by the International Dark Sky Association. Bikers summit 1,000 feet above the confluence of the Colorado and Green rivers. The per person three-day rate is $795; $900 for four days. June 9-13, 2018 5-day Yampa River – In the heart of Dinosaur National Monument the Yampa River runs wild and free, unregulated by dams. Spring runoff in May and June offer exciting rapids by day and piercingly dark sky canopies by night. The focus is on whitewater rafting with exploratory side hikes to rock art, waterfalls and ancient sacred sites. The per person (minimum age 8) rate is $1,075. July 9-13, 2018 5-day Cataract Canyon — Cataract Canyon, carved by the Colorado River, cuts through the heart of Canyonlands National Park. Days are spent luxuriating in the sunshine, exploring side canyons and facing some of the biggest whitewater rapids the river has to offer. Nights open up to whole new worlds as guests explore the Milky Way, see the Andromeda Galaxy, watch satellites and meteors, and learn constellations. The per person (minimum age 8) rate is $1,150. Aug 4-7, 2018 4-day Lodore Canyon — This Whitewater river trip through Lodore Canyon peeks behind the scenes in Dinosaur National Monument, currently recognized by the National Park Service as a “Sanctuary of Natural Darkness.” This trip connects to ghosts of river runners and canyon dwellers of the past, with escapes into deep-red cliffs and exhilarating whitewater rapids. During the day guests float on the Green River through Whirlpool Canyon and at night peer into the Whirlpool Galaxy. The per person (minimum age 8) rate is $980. Sept 9-16, 2018 8-day Extended Hiking & Rafting in Cataract Canyon – This extended 8-day float begins on the Green River as it meanders into the confluence with the Colorado River and then through the mighty whitewater rapids of Cataract Canyon in the soul of Canyonlands National Park. Hiking enthusiasts can anticipate hiking into the Maze District and the fanciful Dollhouse, enjoying the depths of Dark Canyon as well as the unforgettable rapid “cataracts” of Cataract Canyon. The per person (minimum age 12) rate is $1,595. New this year is a partnership between Holiday River Expeditions and Road Scholar, the world’s largest and most innovative creator of experiential learning opportunities. 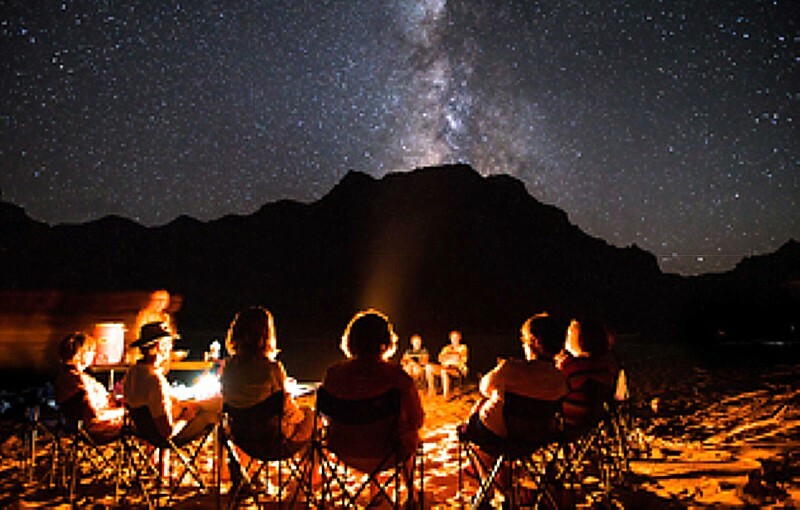 In 2018, Road Scholar is offering three multi-generational Stargazing trips with Holiday. The 9- and 10-day trip dates are June 9-17, July 7-16 and August 4-Aug 13. Clark Planetarium in Salt Lake City (www.clarkplanetarium.org) is one of the world’s leading centers for space and science education. Clark Planetarium’s mission is to create and present stimulating educational programs that effectively share astronomy and space exploration information with Salt Lake County residents, Utah students, educators and families, and visitors from around the country and the world. Holiday River Expeditions (http://www.bikeraft.com/) began in 1966, when Dee Holladay and his wife Sue took the plunge to become river outfitters.. Each of its guides is professionally trained in first aid and river safety, and with 50+ years of experience, the company provides guests the opportunity to explore the nation’s wild lands safely and securely. Holiday River Expeditions has a commitment to protect the environment through education and conservation, and uses oar-powered and paddle rafts exclusively. For more information, availability, reservations or a copy of the 2018 catalog call 800-624-6323, Email: Holiday@BikeRaft.com or log onto: http://www.bikeraft.com/. PONANT, a leader in luxury polar expeditions and the only cruise line carrying the French flag, has just introduced its “Quintessential Collection,” a series of themed cruises. Launching May 2019, the sailings include speakers and performances aboard the ship, and excursions ashore that embrace the local culture and theme. Green and Gentle Lands: Exploring Gardens and Historic Sites, May 14-22, 2019: Guest speaker, Holly Shimizu, retired Executive Director of the United States Botanic Garden and internationally recognized horticulturist for more than four decades will lead discussions onboard while sailing to the British Isles, Belgium, and Norway. Guests will enjoy special access at Kew Gardens, a UNESCO World Heritage site home to more than 40,000 plants; Chelsea Physic Garden, London’s oldest botanical garden founded in 1621; and the Royal Botanic Garden in Edinburgh, for a gala luncheon hosted by the grounds’ director. Sicilian Food and Wine Experience, June 28-July 6, 2019: Embark on a circumnavigation of Sicily joined by guest lecturer, Mary Taylor Simeti, travel and food writer for The New York Times and the Financial Times, who has lived in the region for more than five decades. Meander through the outdoor markets and enjoy the street food of Palmero, famous for its specialties including focaccia; and see ancient Greek Temples from 3600-2500 BC. Guests will enjoy dishes paired with wines carefully chosen by Wine Spectator – all under the guidance of local wine ambassador and educator, Marco Scapagnini. Treasures of the Mediterranean World: A Family Learning Adventure, July 15-22, 2019: While traveling from Rome to Athens, Kathleen M. Lynch, Professor of Classics at the University of Cincinnati and Greek archaeology/mythology expert; and Jason Weiser, host of “Myths & Legends” podcast will lead discussions designed for all generations about the region’s history, literature and culture. Flexible cabins are available to accommodate families, and activities including photo workshops and a mock Olympics competition on the original grounds are also on offer as part of the Young Explorers children’s program. History, Art, and Architecture Along the North Sea, August 23-September 1, 2019: The journey is accompanied by Till-Holger Borchert, General Director of the Municipal Museum of Bruges. Copenhagen is the first port of call with a visit to the Louisiana Museum, offering an extensive collection of art dating from World War II to present day; followed by six days on shore exploring exhibits in Holland and Belgium. See the modern and contemporary art of the Groninger Museum; discover the world’s largest collection of works by Vincent van Gogh at his namesake museum, and learn about Michelangelo’s Madonna, a marble sculpture crafted in the early 1500s in Bruges. A Musical Odyssey in the Mediterranean, September 18-27, 2019: Explore Greece’s landmark sites along the Aegean, Ionian, and Tyrrhenian Seas. Visit Delphi, an archaeological and UNESCO World Heritage Site; and see the third-century Ancient Theater in Taormina aboard the new Le Bougainville. Michael Parloff, former principal flutist of the Metropolitan Opera Orchestra for more than 30 years will lead a series of private recitals from world-class musicians, including flutist Jasmine Choi, cellist Nicholas Canellakis, and pianist and composer, Michael Brown. World War II History – From Hong Kong to Japan’s Inland Sea, September 27-October 10, 2019: Follow in the footsteps of American General Douglas MacArthur, who sailed from China to Japan to accept the Japanese surrender at the conclusion of the war. Walk along Okinawa’s beaches; hike the snow-capped Mount Fuji; and see the “floating” torii gate as part of the Itsukushima Shrine in Hiroshima. James Bradley, expert World War II historian and son of John Bradley, who raised the flag on Iwo Jima, will lead discussions onboard. World Affairs Cruise – Origins of Greek Civilizations, October 9-18. 2019: Travel into the heart of the ancient Greek world with ports of call in Athens, to roam the ruins of the Acropolis and Parthenon; and Crete, home to the earliest recorded civilization in Europe. The voyage will be accompanied by Fareed Zakaria, CNN host and Washington Post columnist; Michael V. Hayden, retired US Air Force general and former Director of the CIA; and Daniel Mendelsohn, internationally best-selling author and columnist for Harper’s. andBeyond travelers on the “Travel With a Purpose in Tanzania” program visit Ololosokwan Clinic, primary school, and Meirowa School, and can join a group of school children on a game drive and conservation lesson. andBeyond, a leading luxury experiential travel company, has launched philanthropic-focused itineraries in Tanzania, Kenya, and South Africa to give guests a first-hand look at its core ethos of caring for the land, wildlife, and people. The activities range from adopting an elephant at the David Sheldrick Elephant Orphanage in Kenya to participating in local school conservation lessons in Tanzania to visiting the Grootbos Green Futures College in Cape Town, an organization that provides educational training to unemployed young adults in the city. Tanzania: Travelers on andBeyond’s 9-day Travel with Purpose in Tanzania tour start the adventure off in Arusha before heading to andBeyond Lake Manyara Tree Lodge to explore the Mayoka and Moya communities by bike, and the new science labs at Kilimamoja School, funded by the Africa Foundation. The excursion continues to andBeyond Ngorongoro Crater Lodge, perched above the edge of Tanzania’s Ngorongoro Crater, before ending at andBeyond Klein’s Camp on the Serengeti. Here, travelers will visit Ololosokwan Clinic, primary school, and Meirowa School, and can join a group of school children on a game drive and conservation lesson. Kenya: andBeyond’s new Travel with Purpose in Kenya 12-day itinerary weaves travelers through the Kuku Group Ranch at the foot of the Chyulu Hills in Nairobi, Lewa Downs Conservancy in Laikipia, and the Masai Mara to learn about and engage in various conservation projects. 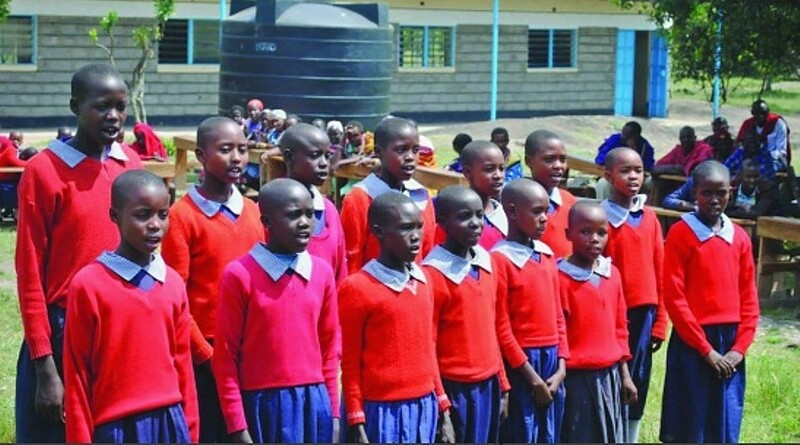 Highlights include a private visit to the David Sheldrick Elephant Orphanage in Nairobi to adopt an elephant, feeding giraffes at the Giraffe Centre, and a Maasai community visit led by the African Foundation Program Manager, in which travelers can interact with a Maasai family and visit a traditional boma. South Africa: andBeyond’s Travel with Purpose in South Africa journey is a 10-day excursion spanning from andBeyond Phinda Private Game Reserve to Cape Town to the Cape Whale Coast. At andBeyond Phinda Private Game Reserve, travelers take an excursion with Africa Foundation to visit projects in the Mduku and Mngobokazi communities, and assist in an exclusive rhino notching experience. Travelers then head to Cape Town for a half-day tour of Uthando, a non-profit that supports various community projects (day care, urban agriculture, environmental, and youth development programs), followed by a half-day tour of the city to explore Table Mountain, Greenmarket Square, and Company Gardens. The tour continues on to the Cape Whale Coast (known for its prime whale watching location), where travelers will have the option to explore the Grootbos’s Green Futures College or the Siyakhula Organic Farm, visit the African Seabird and Penguin Sanctuary, and of course enjoy a whale watching excursion. In addition to these opportunities for travelers to engage in voluntourism, andBeyond offers Small Group Journeys affording the opportunity to explore Africa, Asia’s and South America’s extraordinary landscapes in the company of an intimate group of like-minded safari enthusiasts, on a set itinerary. The newest is Land Rover Expeditions around Patagonia Lakes, and another around Chile/Argentina Wine & Country. Snow Leopard Expeditions (India) is on many travelers’ bucket lists and Botswana Mobile Camping Expeditions is THE way to see Botswana for the adventurous. Also, andBeyond owns and operates lodges and camps in Africa. New lodges opening in 2018 include Bateleur Camp in Kenya, Tengile River Lodge in South Africa, Phinda Homestead in South Africa, Phinda Vlei also in South Africa. Guests travelling to &Beyond lodges in Africa can take advantage of “Fly Me” offers where the entire package price, including flights, is known; others who build an itinerary lodge by lodge, can benefit from long stay discounts. And for couples who have recently celebrated their nuptials, there is a Honeymoon Offer where a partner only pays 50%. Asia travelers also can take advantage of long stay and “Fly Me” offers on some Indian itineraries, showcasing the best of the region at great deals. Established in 1991, andBeyond is one of the world’s leading luxury experiential travel companies, designing personalized high-end tours in 15 countries in Africa, five in Asia, and four in South America. andBeyond also owns and operate 29 extraordinary lodges and camps in Africa’s iconic safari and island destinations. In addition, andBeyond operates small group, set-departure expeditions throughout Africa and Asia. This enables us to positively impact more than 9 million acres of wildlife land and 2,000 kilometres of coastline. Bike Italy with Top Chefs – Tourissimo recently announced a series of cycling vacations highlighting the best food and wine of Italy. A different celebrated chef joins each departure to facilitate the understanding of local gastronomy. Rocky Mountain Glamping – Hike, ride horses, fly fish, snowmobile, x-country ski, and play cowboy at the 25,000+ acre Red Reflet Ranch in Ten Sleep, Wyoming. Gourmet dining offers ingredients from the ranch’s butcher shop, organic greenhouse, and gardens. Robinson Caruso Island Retreat – Retreat to the mystical Chilean island where marooned explorer Robinson Crusoe once lived. Hear the legends of pirates and treasure as you hike through deep forested ravines, cascading streams, and along jagged coastlines in this World Heritage Biosphere Reserve. Escape to Romantic St. Petersburg – Forget Paris or Rome. Join MIR Corporation in St. Petersburg where you and your lover can peruse Fabergé eggs, attend world-class ballet and opera performances, walk the halls of luxurious palaces of the czars, and stand before “The Dance,” a joyous painting by Henri Matisse. Ski Retreat in Montana – Rent a luxurious cabin at the Moonlight Basin community in Big Sky, Montana and find active pursuits paired with food and drinks. Ski beautiful terrain, sample hors-d’oeuvres and drinks by a campfire, and then sit down for an exquisite wine-paired dinner. See the Northern Lights in Iceland – Frontiers International Travel offers an array of ways to explore Iceland, known for its glaciers, icebergs, and excellent fishing. Highlights of your trip might include trekking glaciers, snowmobiling, soaking in geothermal hot springs, and witnessing the Northern Lights. Austin Adventures, a leader in active multisport adventure vacations for families and adults worldwide, is teaming up with Life is Good, a Boston-based apparel brand dedicated to spreading the power of optimism, to launch Life is Good Vacations. Billings, MT – Austin Adventures, a leader in active multisport adventure vacations for families and adults worldwide, is teaming up with Life is Good, a Boston-based apparel brand dedicated to spreading the power of optimism, to launch Life is Good Vacations. Life is Good has devoted 24 years to celebrating life’s simple pleasures through positive art and messaging. With the launch of Life is Good Vacations, people can now experience those simple joys while in the beauty of an incredible destination of their choice. 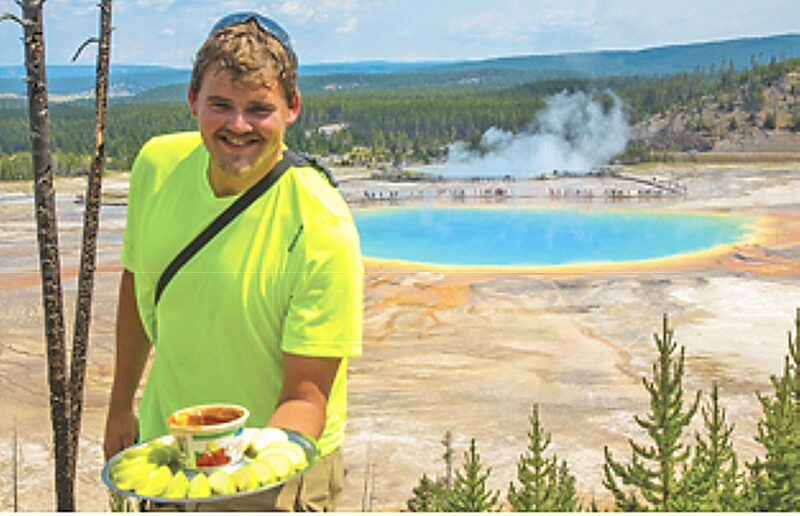 Life is Good Vacations by Austin Adventures will kick off with a trip to Montana and the Greater Yellowstone Ecosystem, complete with biking, hiking, rafting, and horseback riding. Travelers will savor the destination’s local cuisine, explore its hidden gems under the direction of expert guides, and enjoy its natural wonders without the stress of planning. “The concept of ‘adventure’ is deeply engrained in the ethos of our company. We believe that every destination we visit is equipped with its own unique experience. With this partnership, we now have an incredible opportunity to translate Life is Good’s love for nature into the actual landscapes where active individuals and families want to travel,” says Dan Austin, Austin Adventures founder. To learn more and to book, visit lifeisgood.com. The Life is Good Company is a $100 million apparel brand dedicated to spreading the power of optimism through positive art and messaging. The company donates 10 percent of its net profits to help kids in need through the Life is Good Kids Foundation. To date, the foundation has positively impacted 8,000 childcare providers who care for over 1 million kids every year, many of whom are facing early childhood trauma. Life is Good® is a registered trademark of The Life is Good Company. Visit LifeisGood.com for more details, and follow Life is Good on Twitter, Facebook and Instagram. Based in Billings, Montana, Austin Adventures has spent more than 40 years building an international reputation as a top provider of luxury, small group, multisport tours for adults and families to the world’s most captivating destinations. Acknowledged twice by Travel + Leisure magazine with the prestigious World’s Best Award plus many more national media accolades and distinctions. Austin Adventures creates itineraries featuring exceptional regional dining, distinctive accommodations, top guides and exhilarating activities, while keeping all-inclusive rates and services the norm. In addition to scheduled group departures on all seven continents, Austin Adventures has developed a reputation as the leader in customized trip planning and execution. All are backed by the industry’s best money-back satisfaction guarantee. For more information, trip listings, detailed itineraries and trip availability contact http://www.austinadventures.com, call 800-575-1540 or email info@austinadventures.com. 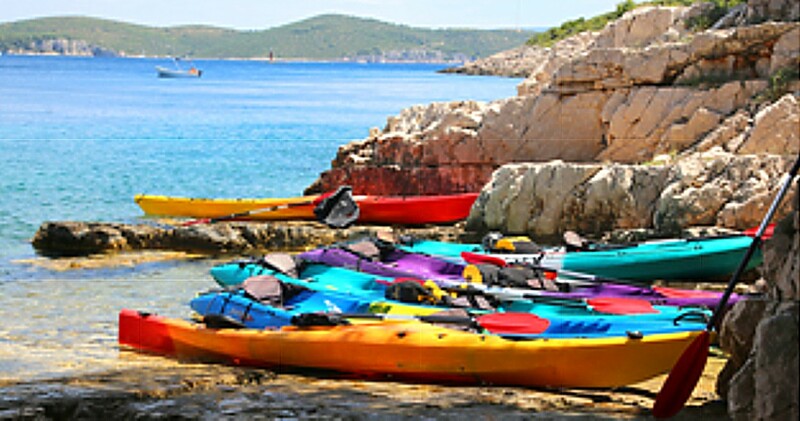 On Austin Adventures’ multisport European Vacations, you get to experience the activities that each destination is best known for, such as kayaking in Croatia. BILLINGS, MT –A new trend is afoot. What for many years was the mainstay of adventure travel in Europe, the traditional bike tour no longer offers enough variety and satisfaction for active American travelers. Tours that can offer a combination of experiences and activities are now the hot ticket. Decades ago, Austin Adventures helped pioneer the concept of multisport travel in North America. They have witnessed this evolution and, in 2018, have fully embraced European tours with much more than only cycling. For example, Austin Adventures selects activities that each destination is best known for. “You wouldn’t want to miss kayaking in Croatia or hiking in the Dolomites, would you? Don’t get us wrong; we love cycling but we also love the excitement and flexibility multisport gives us and the experiences and memories it provides for our guests,” adds Austin. So, what has driven this evolution in the company’s European itineraries? Austin points to its loyal trip alumni (representing some 70 percent of annual sales). They bird-dogged Austin’s team for new ways to experience Europe beyond the company’s time-tested and popular bike tours. The result is an enhanced and expanded roster of Europe Multisport Adventures – Beyond Bike Touring that draws on underutilized – certainly by Americans – coastal waters and lakes for kayaking, compelling alpine regions begging for hikers and more. Austin Adventures’ deep experience in Europe – over 30 years – means that active travelers can now nibble on Europe as the locals do – taking the time off a trail and over lunch to observe, for example, how the French slice their cheeses, how Germans pour beer and how a Croatian guide’s family lives. Austin Adventures’ Director of European Operations, Adam Beecham, wants guests to explore Europe like a European, by revolutionizing the way Americans view adventure travel. This is accomplished by incorporating physical, mental and social elements into each adventure. He also wants to dig into Europe’s highly specialized cultures with visits, for example, to futuristic greenhouses in Holland, organic wine producers in France, places where German precision and engineering are showcased, local craft breweries in Belgium and to Italian kitchens for making homemade pasta. “Our revamped trips to Europe will be more sustainable, involve more local experts and cultural exchanges while taking in the best of each culture, all with their signature Austin Adventures service on a silver platter,” Beecham promises. Order Austin Adventures’ catalog ONLINE, call 800-575-1540 or email info@austinadventures.com. For a full roster of 2018 trips that is frequently updated beyond the print catalog visit http://www.austinadventures.com.